1. Jobs in focus: U.S. unemployment fell to 4.6% in November, the lowest level since 2007. The U.S. Bureau of Labor Statistics reported Friday that the economy added 178,000 new jobs last month, which helped push unemployment down. The job gains were roughly in line with economist expectations. Unemployment peaked in 2009 at 10%. 2. Stocks slide: Despite the positive job figures, there's red across global markets Friday, indicating it could be a negative day on U.S. indexes. 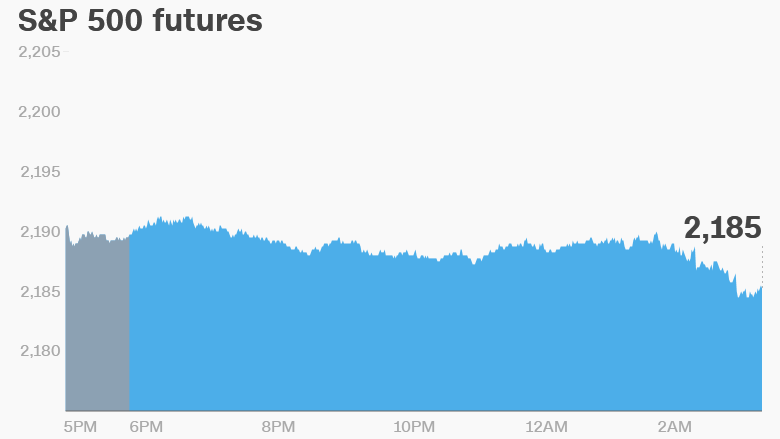 U.S. stock futures are pointing down, European markets are all declining and Asian markets ended the week with sizable losses. Italy's weekend referendum, which could have broad political and economic consequences, could be causing jitters among some investors. The Italian stock market fell about 1% on Friday, and has dropped 22% so far this year. In a nightmare scenario, the referendum result could force the prime minister's resignation, spark a banking crisis and ultimately push Italy out of the eurozone. "I suspect that by Monday I'll be entirely focused on Italian banks," wrote Kit Juckes at Societe Generale. 3. Starbucks shares on the move: Shares in Starbucks (SBUX) are falling by about 4% premarket after the company announced that CEO Howard Schultz would step down from his post next year. But Schultz isn't going away completely. Effective April 3, he will become executive chairman, where he will focus on innovation, the company's premium offerings and on social impact. Current chief operating officer Kevin Johnson, a tech industry veteran, will replace Schultz as CEO. 4. Potential market movers -- Smith & Wesson, Salesforce, Gap: Shares in the gun manufacturer Smith & Wesson (SWHC) look set to drop as investors expressed dissatisfaction with the company's latest quarterly results. Shares in Salesforce (CRM) and Gap (GPS) are also set to dip a bit at the open.